The Dubai International Boat Show presents more than 430 of the finest collection of super yachts and leisure craft from across the globe. In 2015 the event attracted more than 28,000 visitors from around the world, and 2016 is expected to surpass this achievement. For boating fanatics this event is not to be missed, but the thrilling shows and performances are sure to keep the entire family entertained. One of the most jaw-dropping aspects of the event is the watersports stunts that can be seen. Get your adrenaline soaring as the daredevil stunt artists fly through the air on jetpacks, flyboards and flybikes. The show is even more impressive at night, with lights, holograms, lasers, visual artists and airshows lighting up the acrobatic Flyboarders as they perform. If you’re looking to take part in an activity, then the free fishing and sailing trips are the perfect way to find your sea legs. Alternatively, for the thrill seekers among us you’ll want to head down to the beach, where you can try your hand at stand-up paddle boarding, kayaking, sailing and wind surfing. 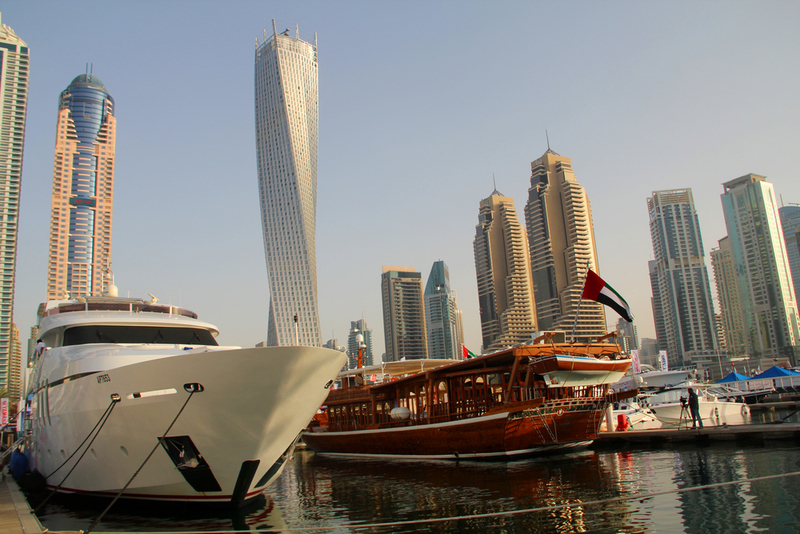 You’ll see the world’s most luxurious sea craft at the Dubai International Boat Show, from superyachts, large power and speedboats, to sports-fishing boats and leisure craft. The event isn’t just reserved for boat enthusiasts though. The supercar promenade is a unique opportunity to view the world’s most exclusive automobiles alongside the region’s VIPs. It truly is the perfect destination for those wishing to peruse and purchase from high-end luxury and customised motoring brands from around the world. The event runs from March 1st to 5th 2016, from 3pm to 9.30pm daily. Tickets can be bought onsite.